I Survived Halloween! – Have a fun day! Whoa, the last time I posted was over 4 months ago. I must have been busy! 2 DIY Halloween costumes! I survived it. Last year, I said I would start early, like in August…, it didn’t happen. I started it at the end of September, which was better than last year, but it wasn’t August. 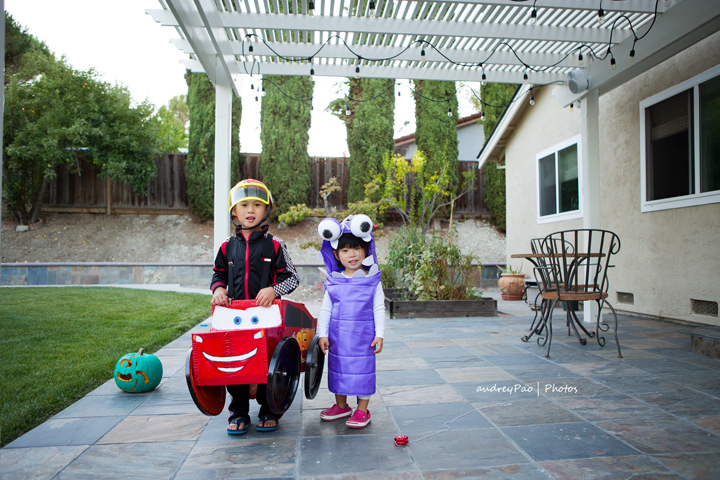 Here’s last year’s post for your reference (https://audmommy.wordpress.com/2014/11/01/till-next-year-halloween/). October has got to be the most stressful month for me for no other reason than my silly tendency to over do it, to overcompensate for what I didn’t have. I never had a costume! So now I make magic for my kids. OK, no more of this sad Halloween business from the past and on to Halloween of 2015! The TKer (Transitional Kindergartener) wanted to be Lightning McQueen! 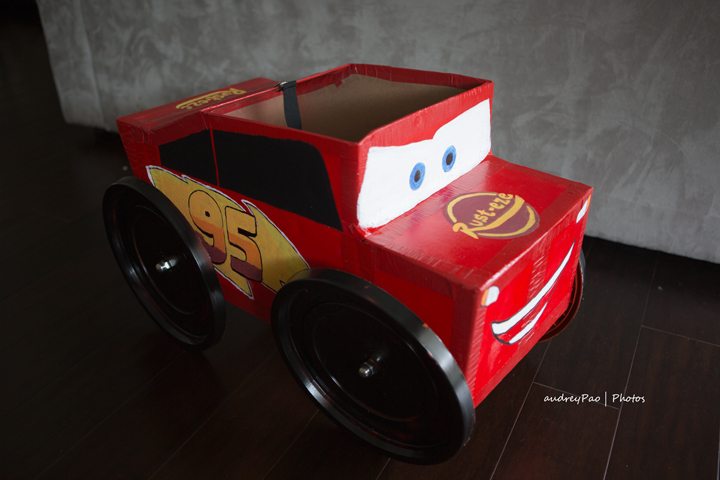 Oh but not just any Lightning McQueen, but the Monster Truck Edition. That kid’s got a big imagination! I based it off a tutorial on how to make a monster truck costume that i found on Pinterest (https://www.pinterest.com/pin/22025485654870515/) and improvised. Basically, I cut up a box, paint it and puff, just like that, done! Ok, no magic, it was hard work, the hubby did the spray painting and I did the detailing. Thank goodness my husband was on board with my craziness! I made him do it before he left for China on the business trip. When he came back he laughed at me and then helped me drill some holes and put in the wheels. The toddler is ….. Boo! I purposely picked something nonprincessy. I took advantage of the fact that she had no say on what she wanted to be (still clueless). In a few years, I have a feeling that she is gonna want to be a princess (Noooooo)! I also based this Boo costume off of a tutorial i found on Pinterest (https://www.pinterest.com/pin/22025485655053045/). I love Pinterest, my go to for all things DIY. 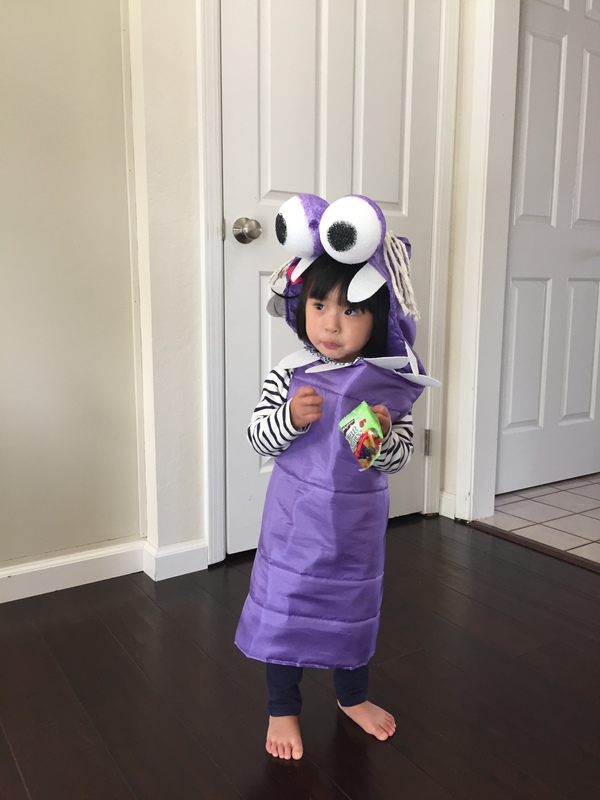 The hardest part of the costume was figuring out a way to get those eyeballs to stay up. I almost cried when I finally figured out a way. I should have followed the instructions and got smaller Styrofoam balls! Here’s a close up of the costume. 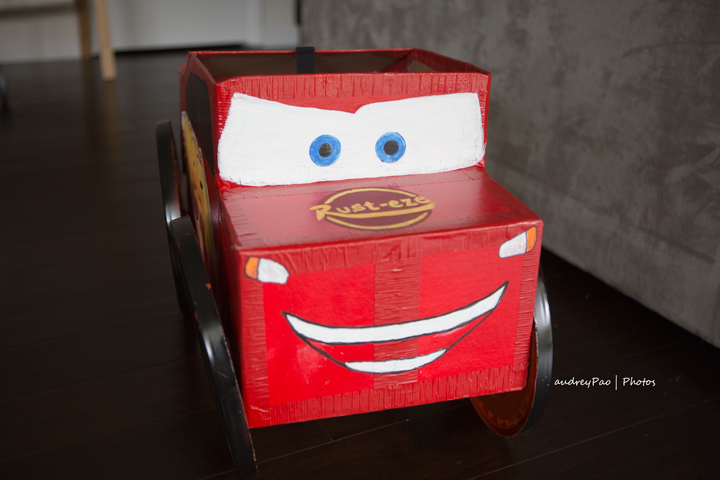 My only regret is that the TKer wasn’t a Sully or a Mike Wazowski monster truck (I tried convincing him but he wouldn’t have it) or that the toddler wasn’t Mater. 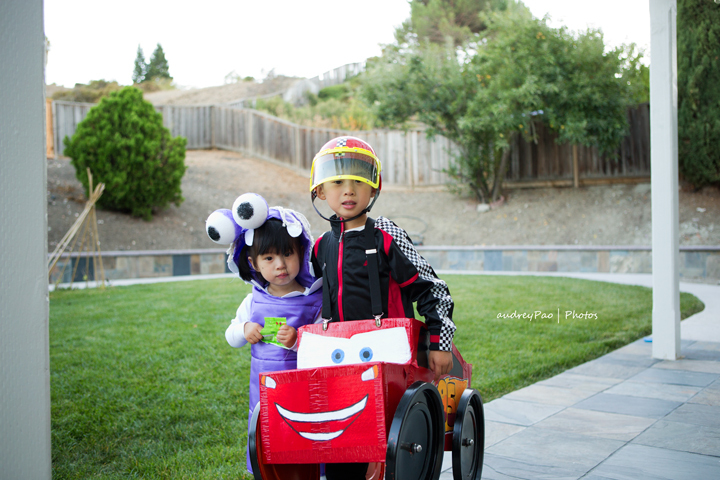 I started working on the Boo costume before I realized that I should have made her a Cars character costume. And my Mike Wazowski pumpkin was a disaster…(should have used a stencil). It was stressful but I had fun. This is a lot coming from a person who never liked Halloween much. Until next year Halloween! So long! Farewell! goodbye!